Time spent with loved ones. Between Thanksgiving, Christmas Eve, Christmas Day, Hanukkah, Kwanzaa, Festivus, New Year’s Eve/Day, and whatever other holidays you might take part in, this is the time of year when we’re around tons of yummy food and we’re all virtually guaranteed to eat it. And with that eating, comes overeating. And with that overeating, comes weight gain. The question is, how do we avoid this inevitable outcome? Better yet, how do we stick to our ideal diet during these types of situations so we not only avoid gaining any weight, but maybe even somehow manage to successfully lose weight? There are approximately 3500 calories in one pound of body fat. That means, in order to gain a single pound of fat, you’d need to eat (roughly) 3500 calories more than your maintenance level (aka the amount you need to eat per day to maintain your current weight). So, for example, if your maintenance level is 2500 calories, you’d have to eat 6000 calories on Thanksgiving or Christmas (or any other day) for one pound of fat to truly be gained. Think about that. 6000 calories! Most people couldn’t eat this much in one day if they purposely tried to. Hell, even if your maintenance level was as low as 1500 (which it probably isn’t), you’d still have to eat a whopping 5000 calories in a day to gain one pound of body fat. Now why am I telling you this, you ask? Because many people think holiday weight gain occurs as a result of them eating too much on one particular day. They think their massive Thanksgiving dinner or their full day of Christmas overeating is what caused them to gain a bunch of fat during this time of the year. In reality, however, that’s a myth. No one gains a bunch of fat in a single day, no matter how terrible they managed to eat that day. On average, I’d guess that the typical person who ends up overeating on a holiday might gain a tiny fraction of a pound (at most) in a 24-hour period of eating. And that’s not even worth giving the slightest crap about it. So Holiday Weight Gain Isn’t Real? Oh no, it’s absolutely real. It just doesn’t occur for the reason so many people think it does. As I explained a minute ago, unless you ate something as insane as 15,000+ calories the previous day (and I don’t care how tasty those Christmas cookies are, you’re never eating anything close to this), you didn’t actually gain “a few pounds” of body fat. Chances are you didn’t even gain a single pound of it, and, in most cases, not even half a pound of it. So then, what’s with all the weight gain? Temporary water retention (from eating more carbs and/or sodium than usual). Temporarily replenished glycogen stores (from eating more carbs than usual). Extra food temporarily sitting in your stomach waiting to be digested (from eating a larger total volume of food than usual). It’s all temporary forms of weight gain that can easily add up to cause as much as 3 – 5 pounds (sometimes even more) to be gained by the next day. Get back to your normal eating habits right after and your weight will come back down to normal within a couple of days. One day of overeating isn’t enough to cause a meaningful gain in body fat. That point should be pretty clear by now. In fact, even if you overate by 1000 calories on Thanksgiving Day, and then overate by another 1000 calories on Christmas Eve, and then another 1000 on Christmas Day, and then another 1000 on New Year’s Eve… you’ll have only gained about one teeny-tiny pound of actual fat in a span of over a month. And technically, it would probably be even less than that due to factors like NEAT (non-exercise activity thermogenesis) and TEF (Thermic Effect Of Food), which increase as a result of eating more. Full details here: How Many Calories In A Pound Of Fat? So even four days of eating too much during a 1 – 2 month period won’t lead to anything remotely significant whatsoever. So then, why do so many people seem to gain significant amounts of fat during this time of the year? That’s easy: from weeks, months or an entire season of overeating. THAT’S the time frame it takes for meaningful amounts of body fat to be gained. Not a day or even a few days. That’s nothing. It’s weeks and months of consistently eating too much. THAT’S what causes significant weight gain. And do you know what else contributes to this? And so an insignificant day (or even a few days) of overeating becomes significant weeks/months of overeating. And that’s what makes people gain fat. It happens the same during holidays as it does during any other part of the year. And that brings us to our next obvious question. 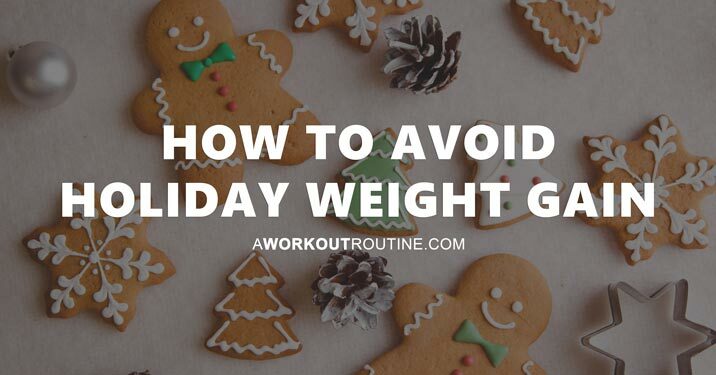 How do you stick to your diet throughout the entire holiday season? How do you stick to your diet on the holidays themselves? The answer here is exactly the same as it would be during any other season. And what it comes down to, above all else, is having a diet that is built around the proven fundamental principles of what’s needed for your specific goal (e.g. a caloric deficit to lose weight, eating a sufficient amount of protein a day to build/maintain muscle and control hunger, etc. ), and then putting those principles into action in whatever manner is most Preferable, Enjoyable, Convenient And Sustainable for you (#PECS). Well, the bad news is that properly explaining all of that is a bit outside the scope of a small section of a single article. 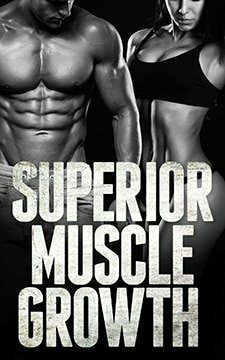 Also feel free to check out my Superior Fat Loss program. I designed the entire thing for this exact purpose. “How do I accurately count calories on days like these? “But I’ll gain a ton of fat!” you say. Sure, the fact that you will probably end up eating more calories, sodium and/or carbs than you normally do will mean you’ll probably gain some weight the next day. But, like I explained earlier, this is mostly (if not entirely) just temporary water weight, replenished glycogen stores and stomach content. NOT FAT. And you’ll lose it as soon as your diet returns to normal. “But how can you be so sure it isn’t fat?!? !” you ask. Because of what I explained earlier about the myth of one bad day of eating causing significant fat gain. It doesn’t. Once again, most people would need to eat at least 5000 – 6000 calories on Thanksgiving Day or Christmas Day in order to gain even one itty-bitty pound of actual body fat from that one “bad” day of eating. And even if you somehow did manage to do this? Or, more likely, ate that much over the span of a week rather than a day? No… big… deal. It’s ONE POUND of fat. As long as you get right back on track with your diet the next day, you could very easily lose twice that much by this time next week. 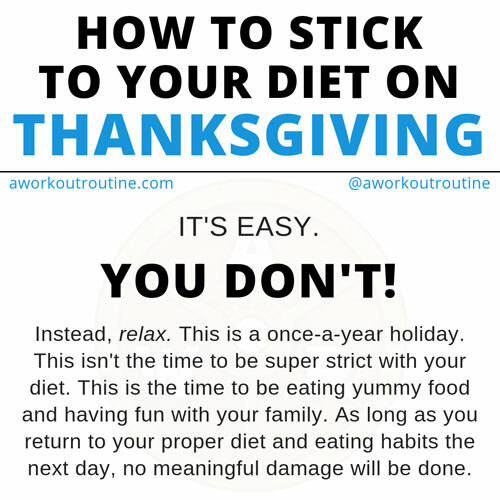 What is a much bigger deal, however, is forcing yourself to be so overly strict with your diet during a big holiday that it A) ruins your holiday, B) turns you into an annoyed, frustrated, unhappy, hungry person who ruins the holiday of those around them, C) causes you to go into a massive all-out binge (potentially lasting for days) at some point later on (which often happens when people excessively restrict themselves), or D) all of the above. Eat some yummy food, guilt-free. Get back on track the next day. Because, as long as your diet returns to normal right after, it’s not going to have any meaningful negative impact on your progress. The thing that WILL have a meaningful impact on your progress is what you do on the other 360+ days of the year. THAT’S what matters. What you do on a few of them isn’t even a blip on the radar in the grand scheme of things. The above advice is exactly how I personally approach days like these and how I recommend most people do it as well. As usual, however, there are exceptions, because different people sometimes need and benefit from different things. In this case, while most people will be able to use this approach during these sorts of special occasions and have no problems whatsoever and nothing but positive things to report about how it went, there are some people who may struggle with the “returning to their normal diet the next day” aspect of it. And that’s the key component. In these cases, one occasional day of “bad” eating may trigger something that makes them only want it more. To the point where it takes them longer than it should to return to their normal ideal diet (or maybe never return to it at all). And, even when they do, they may still remember how good that “bad” day felt, and that alone could lead to problems for them with diet adherence at some point down the road. So, if this describes you, there’s a very simple solution: avoid this relaxed approach in favor of something that’s a bit more strict, more controlled, and more in line with your normal (ideal) daily eating habits. Exactly how much strictness and control is needed on days like these to prevent this type of scenario from playing out depends on the person. Some need more, some need less. You’ll have to use your own knowledge of how you tend to react in these types of holiday situations and perhaps experiment a bit until you find the best approach for you. 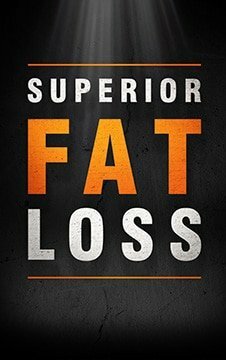 If you need some help with that, Superior Fat Loss has a whole section with recommendations for different ways to approach these types of situations. Relax, have fun, enjoy the day, enjoy the food, and get back on track right after. Happy [insert whatever you celebrate here]!